The death toll following clashes over rosewood in Funsi in the Wa East municipality has risen to two. A 38-year-old man, who was among three persons who sustained gunshot wounds in the clash, has died. Issahaku Badaa died on Sunday evening at the Upper West regional hospital. Two other persons are still in critical conditions at the same facility. The clash has raised tensions in the area, as some residents fear there may be reprisal attacks. 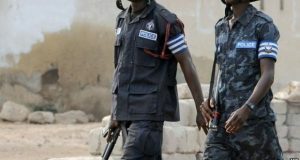 The Upper West Regional police commander, DCOP Otchere Boapeah, in an interview with Citi News said three people have been picked up by his outfit in connection with the incident. He further revealed that the Wa East District Security Council has convened an emergency meeting to find a lasting solution. “We have taken steps to restore calm in the area. As I talk to you there is an emergency meeting going on at Funsi. We expect that the outcome of the meeting will calm the tension in the area”. Meanwhile, the bodies of the two dead persons have been released to their families for burial in accordance with Islamic tradition. Rosewood logging is banned in the Upper West region. However, illegal logging is currently ongoing in almost all the eleven districts of the region. The practice is being led by Chinese nationals who contract locals to illegally harvest the product for a fee. Officials of the Forestry Commission will not comment on the menace. Citi News can report that the clash in Funsi is but one of several unsuccessful community agitations to halt harvest of rosewood in the upper west. Most community members argue that the region is ecologically fragile, hence the harvest of rosewood is increasingly exposing the region to desertification. The post Death toll in Funsi clashes over rosewood rises to two appeared first on Citi Newsroom.